Join Miranda Lambert in the MuttNation March to End Pet Suffering! 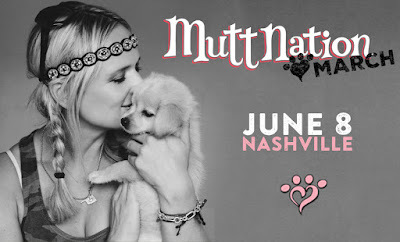 Country superstar, Miranda Lambert, will host the MuttNation March to raise awareness of shelter dog adoption. You can join the March, which will take place on June 8th at 8:30 AM, by purchasing a ticket to the event for a $15 donation. The march will start at Nissan Stadium, continue across the Nashville pedestrian bridge and end in downtown. Marchers may bring their dogs and will receive a t-shirt. Tickets: $15 Donation / Available Here! Learn more about Miranda's MuttNation Foundation here!